Eating Grass & Vomiting--Is this Normal? 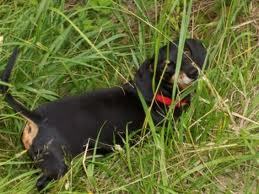 1) Is your pet "drawn" to the grass, showing signs of needing to get to the grass such as whining or pulling toward it? 2) Does your pet vomit hairballs or bile afterwards? Is your pet vomiting frequently? 3) Is your pet eating large amounts of grass? Some grazing on grass is natural but when pets are specifically looking for it as if they really need it, this can be a sign of acid stomach or poor digestion. Many times pets reach for the grass as a way to make themselves vomit too. If you notice your pet is eating a lot of grass, then it's important to watch for other signs of digestive discomfort. If you notice your pet is having rumbling noises after eating, loose stool, gas, vomiting, bad breath or other signs of digestive discomfort, it is important to bring this to the attention of your veterinarian. Getting basic laboratory tests (e.g. blood panel and urine analysis) will provide valuable information, as acid stomach can be a symptom of a more serious health condition such as kidney or liver disease or inflammatory bowel disease (IBD). Diet changes for acid stomach are often necessary depending upon your veterinarian's diagnoses. Your pet could be getting too much protein, too much fat or be allergic to the food. Make sure the pet food and treats you use do not contain grains, byproducts, chemicals and other food allergens. These can all result in poor digestion, acid stomach and other health problems. In addition to dietary changes, a few supplements can give your pet fast relief! Power Probiotic--Power Probiotic is a multi-strain probiotic, backed by research and proven to help your pet's digestive symptoms. It is easy to administer--this tasteless powder can be opened and mixed into food. Safe for puppies and kittens and is especially important to use if your pet has been on antibiotics, steroids or treated for parasites/worms. Power Probiotic has many benefits ranging from improved immune function, enhanced digestion, elimination of tear stains, better stool formation and so much more. Gastro ULC Acid Relief Formula--This fabulous stomach acid reducer helps to relieve stomach acid pain quickly. Is your pet reluctant to eat? Is your pet smacking the lips and nauseated? Does your pet have an ulcer? Gastro ULC is all natural herbal formula for cats and dogs that can help heal the lining of the stomach while providing a gentle, soothing coating relieving pain and discomfort. To receive great tips on using holistic care for your pets, be sure to "like" us on Facebook!